Guanacaste, Costa Rica | What is the real name of this hotel? Regular Rate $1984 . Today Only $699! This 5 Star Costa Rica Beach Resort is the newest vibrant beach getaway for couples, families to enjoy all the inclusions of an Unlimited-Luxury escape in a privileged location. Located on an expansive palm-studded beach and surrounded by lush green mountains & jungles on Playa El Jobo in the Guanacaste region of Costa Rica, guests of all ages enjoy an action packed vacation featuring watersports, land activities, and swimming pools while sunbathing or laying under a thatched palapa. Continue the fun into the evenings with live nightly entertainment, outdoor bars and lounges and so much more! We spent 4 nights and enjoyed every minute! There are lots of pools (including infinity pools! ), a swim up bar in one pool, and 5 restaurants to choose from. The beach is lovely and easily accessible. I would highly recommend this resort to anyone visiting Costa Rica. We chose a room with a swim up pool which we loved. The patio is tastefully decorated with lawn furniture and the room was lovely. Lexter at BookVip.com was very helpful in planning our trip - we are literally counting the days until we go back!t wait to go back! This is by far the best vacation have ever been on! We had a great experience and the resort was just amazing! I would like to thank BookVIP.com for this excellent recreational resort. I recommend every a minute of it. Restaurants are great...service beyond belief, monkey's everywhere...My wife and loved the vacation and would do it again in a heartbeat! Having a great time in Costa Rica..BookVIP is great...Absolutely fabulous vacation! We spent 4 nights and enjoyed every minute! There are lots of pools (including infinity pools! ), a swim up bar in one pool, and 5 restaurants to choose from. The beach is lovely and easily accessible. I would highly recommend this resort to anyone visiting Costa Rica. We chose a room with a swim up pool which we loved. The patio is tastefully decorated with lawn furniture and the room was lovely. Joanne at Beach Bum Vacations was very helpful in planning our trip and also getting us airport transfers when we realized we forgot to bring them! We traveled to Costa Rico for our wedding in May of 2015 with a group of 20 people, and had an amazing time. The resort is beautiful, the food is amazing, and the service was generally very good. We read a few reviews on here before our trip, but tried to ignore the negative ones and Im glad we did. This resort is top notch, and we highly recommend it. One thing we loved was the location. It is very isolated, in an area of Costa Rica that has not had much development yet. This means that a portion of the road into the resort is a little bumpy, but from what we saw, they are getting ready to pave it. Once you are at the resort, it is fantastic to be in such a beautiful spot, and to have everything you need at the resort. The service at the resort is excellent for the most part. The majority of the staff speak excellent English, and we didnt have any communication problems. Anyone who has complained about this in earlier reviews have obviously never gone to another country. Obviously there are occasional language barriers in any country outside of North America, but most Costa Rican people speak excellent English. They also love their country, and that is evident all the time. Our wedding went exactly as planned, with no problems at all. We were extremely impressed with the service of our wedding coordinator on site, and the ceremony and reception were perfect. The pools are all beautiful, and the service around the pool was fantastic. There are more than enough chairs around, and there are towels everywhere (some resorts make you use a card system for a towel, but not here). This resort is gorgeous! I went with a friend to celebrate our college graduations the last week of May, and we stayed for one week. We were nervous going in based on reading previous reviews, but were determined to not allow any small inconvenience to ruin our vacation. The road there was not as bad as reviews stated. It became tiring as the week went on, though. I wouldn't say it's a reason to not come, just a reason to not leave throughout your stay. As stated by other guests, we were greeted with a cool washcloth and champagne. The check-in process was easy and we were led to our room. We loved our room! We had a pool view in the main building, so we could see the whole resort, including a beautiful view of the ocean. The turn down service in the evening was inconsistent, but so were we, so it didn't bother us a bit. Yes, you could hear others showering through the pipes, but it wasn't that loud and it wasn't all the time. The doors to the shower and toilet would have been the biggest complaint, but again, we didn't let that ruin our vacation. It let the other go find the sweet wifi spot outside our room for a while. The weather was beautiful! It was forecasted to rain all week, and didn't once until Tuesday evening - the night before we left. But we swam anyway. It is a bit windy, so keep that in mind when bringing items to the pool. However, with how hot and humid it is, it was nice to have a breeze consistently blowing through. Food at the restaurants was good! The only thing with service I will mention is that the "hostesses" of the restaurants also acted as waitresses. So we had to wait a while to be seated each time. The only restaurant we didn't get to was Oceana and it was closed for private parties each night. Throughout the week, we did three excursions. I looked everyday for Alex on the Beach, but could not did anyone. I was disappointed because we had picked out an ATV tour to do with them. We went white water rafting with Tenorio Adventures and it was a blast! Beautiful jungle, in the shade, fun rapids...the only downer was the drive there, but we lived. We ended up doing an ATV tour through Swiss Travel, the resort's tour people. It was fun, but it wasn't along beaches or anything like I was expecting. The third tour was the Buena Vista Mega Combo: zip lining, water slide, a spa, and horseback riding. Very fun! It was a wonderful vacation, the staff was really nice and helpful, and worked very hard to do their job well. "Most AMAZING Employees, and Resort!" First let me start with names, Lucy who received us in the Preferred Club with Gabriella. I hope she had a wonderful visit back home and with her family! If you need anything, ask Lucy! Next I would suggest a visit to the UVC and request Travis and Caroline. We upgraded our previous contract with some new amenities, and this husband and wife duo had us sold! Plus we trust them, and Martin their manager. Excellent people! Michael and Rodriguez in the preferred club, were 2 of the greatest bartenders ever. The fresh ginger root used was amazing! Felix, the waiter in the SeaSide Grill by day and the Oceania by night worked so hard and was so deserving! I would say, I completely understand this is an "all-inclusive", but these individuals went above and beyond their job duties please people and even a few dollars extra makes the experience even better when you see the gratitude they so much deserve. Our daily room cleaner was amazing also, she was fantastic! I cannot remember everyone's names, but we stayed April 20-27 in room 1227 (the best room EVER!)! We cannot begin to thank this staff enough for making an already wonderful building into a fantastic place by them working there! We just returned from a wonderful week long stay at a 5 Star Costa Rico Resort. It is absolutely beautiful. The staff was wonderful and they do aim to please. Our daughter was married on Saturday, May 23, 2015. The wedding was located on a private beach about 15 minutes by bus, and it was absolutely beautiful. Her reception was back at the roof top of the Oceana Restaurant - beautiful, amazing food. We also took the catamaran - snorkeling tour which was amazing. Our room was very nice with a view of the beach & bay. Maid service was great & they kept us well supplied. The restaurants were all very good - staff was very attentative and they do seek to help you have a wonderful stay. I had my hair and makeup done for the wedding at the salon and they did an incredible job. What a wonderful week we had. They do know how to run a resort. At the pools we were consistantly served drinks or snacks as requested. We definitely would stay here again. Wonderful week! "Great hotel, great service and very nice staff all around !!!" This 5 Star Costa Rico Resort offers a great place to relax and enjoy nature. My wife and I spent our wedding anniversary and we had a great time. In the different reviews you will read about the drive to the hotel, it's not bad at all don't forget you are on vacation and yes it will take an 1.5 hour take this time to look around and enjoy the scenery. The resort is beautiful and kept clean by the grounds crew, there's a lot animals to be seen on the grounds (white face monkeys, parrots, pelicans...) the beach is very safe and the vendors are NOT pushy and they are very polite. The resort is very big and even at full capacity you never feel crowded, they had a few weddings during our stay, wow they make it look awesome. The service at the restaurant is not what we usually get meaning it's a slower but again we are on vacation so you know, these employees work very hard and do a great job the food is very good from appetizers to desserts. We are real foodies and the buffet offers great diversity for all even the kids and the fussy person. The Portofino Italian was our favorite restaurant, the Seaside Grill offered a blackend tuna to die for we had 2 servings each. The great thing about this hotel is that the entres are nice and small so you can take more than one and taste a little of everything. The Barefoot grill always offer a great lunch, nachos, burgers, quesadillas and some salads also... Our best bar was the Barracuda near the beach, let me tell you that Michael and Hugo do an awesome job, Michael is great with the guest always smiling and offering new drinks to try, he also told us where to go in town and things to see. If you go see Michael and Hugo ask them to make you my wife favorite afternoon treat chocolate ice cream with white creme de mint very good hummm. Our room was nice always well cleaned and stockes 5604 with a very nice view of the resort all the way to the sea. Again thanks Michael you have made our vacation really enjoyable you are a great asset to this hotel. We will definitely go back to this hotel, yes it far but it's well worth it. The ride from the airport is an hour an a half but the transfer company we used was Swiss travel and the guide on the bus made it very enjoyable. You can stop along the way if you wish., We stopped at a supermarket where we bought local coffee and beers for the ride. Pulling into the resort was nondescript and uneventful. The main entrance does not blow you away, but once you venture into the complex it is absolutely stunning. While we were the there the resort was fully booked but it's so large it never feels crowded. I am not a fan of all inclusive resorts because I don't believe I eat or drink enough and the food is normally garbage but here the restaurants are almost NYC quality- very good! At the restaurants men have to wear pants and at first I was put off by this but it does class up the experience. Most staff are very diligent and work very hard to please but I believe they are understaffed. I normally enjoy exploring outside the resorts but the resort is out in the boondocks so I embraced chilling out with family and friends. We did rent a car one day from Budget(which is onsite) and drove to Coco beach. Beware their are no gas stations nearby and you will be hit off with a hefty service charge for gas from Budget. We also booked a fishing trip from Alex on the beach which was a bust. We spent most of the 5 hours trying to catch baitfish with negative results. If you booked this property and are reading all the negative reviews I suggest you dismiss them and take my word for it you will have a great time! First let me start by saying the trip from the airport was not bad. Our tour guide, marcelino, made frequent stops so that we could take pictures of the monkeys. The dirt road was not bad and they were in the process of paving it. The resort itself is beautiful! The buffet was good, but all of the restaurants were amazing!!! What really made this trip was the staff. We had a group of 13 and were well taken care of. We stayed 8 days. The staff is so friendly! We spent most days in the pool where Ingrid was our most gracious waitperson. She always brought us our drinks with a smile and if she was going to lunch, would bring us two:) by far our favorite staff member;) Carlos and kathia were the best bartenders at the Rendezvous lounge!!!! They whip up amazing concoctions! This is a great resort for relaxing. If you are looking for a tropical beach, this is not the place to go. Who needs a beach when you have numerous gorgeous pools to choose from! We stayed in building 5, which is where the majority of restaurants are. We were able to watch the monkeys from our back patio. We did use alex on the beach for fishing and an atv tour. Very enjoyable. The resort will cook up what ever you catch! The rooms are spacious and we did not mind the bathroom setup. Highly recommend! !!!! We are in the 6th day of our vacation. First off, if you can't handle a ride down a dirt road in an air conditioned bus, with a great tour guide, Marcelino, stay home. We had an easy flight into Liberia from Miami, no fanfare, 20 minutes through customs and baggage, and a resort rep was waiting near where you catch your ride. Swiss Travel and Marcelino have been great. He kept us entertained on the way to the hotel. The hotel is breathtaking and all the staff are friendly. You will need to find Ingrid down at the pools as she is friendly and attentive. We had an awesome fishing trip and half of our group also did a 4 wheeler tour. There were 13 of us and we always managed to get into the restaurants which have all types of food and beverages. If you have an issue with Spanish speaking folks, stay home. They are all awesome and friendly and if you have difficulty communicating, use Google Translate. I had no problem. Well, enough for now. One more full day in paradise and time to get ready for the day. Oh, almost forgot a shout out for Kathia and Carlos at the piano bar. They will either make you your favorite beverage or will invent one for you! Just returned from our 10 day vacation for our 10 year wedding anniversary -- loved loved loved the resort! I was a little leary at first after reading some of the negative reviews but now I know that people just like to complain about the smallest things. My husband & I had the best time...we are already talking about going back next year!! The resort is beautiful - everything is kept clean and the pools are amazing...we were is building 8A Swim out room (jungle room and we were the building closest to the ocean) we heard and saw the waves crashing every day...it was amazing!! Every morning at 7:00 we got to see the black white faced monkeys near our room grabbing stuff from the trees...that was an extra added bonus...Food was amazing in all places...never had problems getting drinks by the pool...there was always someone taking orders and everyone was always friendly. Did the zipling and ATV --so much fun!! See Alex on the beach he's alot cheaper than booking through the resort. we even hiked both sides of the beach --once you get past the rocks on the right side of the beach you will see an amazing ocean..absolutely beautiful!!! we also hiked the nature trail across from the resort and if you go to the first helicopter pad landing and walk down by the trees - there are at least 20 monkeys there...we went there twice and fed them bananas - it was a great experience. Awesome vacation!! Lots of entertainment if you are wanting to do more than lounge by the pool. Staff is great and attentive. Lots of pools plenty of pool chairs. Great for couples. Modern decor. Great food and many choices of restaurants. The drive in is about and hour and a half about 30 min on gravel road. You pass though a national park on the way to dreams from Liberia airport so there is lots to see in the 1 1/2 hour drive. Completely worth it we are definatley coming back!! "Great resort - don't go fishing with Swiss Tours, use Needlefish Sport Fishing instead!" Since this was the first time we had been to a resort, let alone a four star one, our trip was pretty great - basically what everyone else on this site has mentioned. Just don't get married there and expect it to be really well organized or get what you paid for - we were there for my brother's wedding and it went really poorly for them, the bride couldn't eat anything they served as it was all supposed to be gluten free but wasn't - not even the wedding cake! FISHING - please view and compare my reviews of Swiss Tours at Las Mareas and Needlefish Sport Fishing - Very important if you are looking for some fish action while at this resort! The property is gorgeous, pools were awesome. We were in building 8C, and we had reasonable wifi from our room. The room was very spacious, clean, and in excellent shape. The restaurants were all good. The food in each was quite good, with Himitsu and Portofino being the stars. The buffet for breakfast I thought was very good, and I only ate there once for lunch - wasn't spectacular but wasn't bad. Room service was fast and the food was good and hot when it arrived. The staff was very friendly, and did their best to meet our needs and requests. They also did their best to deal with a lot of UGLY behavior from seriously out of control guests. I've never been to an all-inclusive resort before, and hope that is not normal behavior for guests. 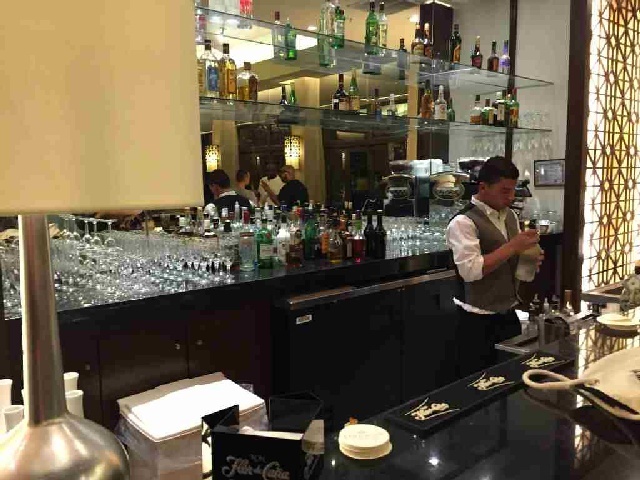 I personally never went without a cocktail or water when I wanted it, and there was always waitstaff around when I wanted something. The resort is remote. While the tours we took were all day trips we felt that the time required wasn't unreasonable. I HIGHLY recommend Alex on the Beach as tour guides - they made the drives interesting and engaging, not just a ride in a bus. Do not miss the Palo Verde river tour with Alex. It was the highlight of our trip. There are other things to do closer to the resort, if you do some research and ask the tour guides they can find things for you to do that don't take all day. I definitely would come here again, should my travels take me to the same area. We absolutely enjoyed our stay and we were wishing we could have stayed an additional week! Yes, the drive from the airport is long but we loved it because we got to see the landscape of Costa Rica and getting on to the dirt road coming down the mountain has got to be one of the most beautiful views we've ever seen. The resort is just gorgeous nestled on the hill sprawling to the beach cove. Our room was gorgeous, we had an ocean view junior suite on the second floor which had a jacuzzi tub and comfy couch with a ceiling fan on the back patio. The room was stocked with waters, cokes, fantas, juice, Coronas, Pringles, M&M's and mini bottles of vodka & scotch. Everything is restocked daily. We did not have trouble like other people talk about with the food service as we ate dinner between 8-9 every evening and the crowds had left. I would say that our service was excellent in all the restaurants and the wait staff was very friendly. I will say however that the pool bars are understaffed for the amount of people drinking. Also, we discovered that really anyone can get into the premium lounge as it is not regulated so give that a try because it's nice. After dinner we would go to the disco with other couples and really have a great time!I am also a runner and really enjoyed running the beach cove every morning. The cove is about a half mile. I ran once barefoot and the sand was so soft. The only thing to watch for are sea snakes, they look dead, but they're not! We also took a deep sea fishing trip which was amazing! They picked us up right on the cove. We caught & released an 80lb rooster fish and had the time of our lives! We highly recommend it. Pura Vida!! We were skeptical of this resort because of some previous reviews, but could not have been more impressed. The trip from the airport is everything that has been previously posted. We took a private transfer and our driver took the time to show us many local attractions, so at least it was interesting. We were met at check in with champagne and were in our room in under 30 minutes. We preferred the restaurants at the main building but there are many options. I recommend Himatsu and Portofino for dinners. We ate there multiple times and they were never disappointing. During the day, we never had trouble finding seats at the pool. We sat at the same loungers above the bar every day and the waitresses knew our drinks by day 2 and kept them full throughout the day and accompanied by a bottle of water for hydration. The lunch and breakfast buffets were full of many local and international foods and seaside grill had many excellent drinks and a l carte selections. It was our first time to Costa Rica and it will not be our last. The country was beautiful and people friendly and engaging. We took the mega combo tour which combined waterfalls, volcanic hot springs, hiking, and zip lining. I would recommend it to anyone that wants to do a little bit of everything. The true star of the resort is the sunsets. We spent most evenings trying to find the perfect spot to watch these spectacular view. The swing bar at Oceania and the pool were 2 of our favorites. The resort is beautiful and the staff was always very friendly and helpful. We travel often and would put this resort up against any we have ever stayed at. Great weather, great food, great resort! Service is hit or miss but did not let that ruin our vacation. Beach is not very nice but there are plenty of beautiful pools to make up for it. Men must wear long pants at most of the a la carte restaurants. The Surf and Turf tour offered by Salve Terra is a must do! Only 30 minutes from the resort. Nice family all inclusive resort. Pools are beautiful, staff very friendly. Lots to do during the day, evening activities limited. Food service needs to work out a few quirks, but overall very tasty. Rooms are well kept. Very relaxing vacation. Best vacation ever. We hired Avispas to drive us from the airport to the resort. It was great. The ride is about 90 minutes but it's a wonderful way to see the country. The last 30 minutes is bumpy but it was still enjoyable. Look out for the emus and the one ton cow! I can't understand why people would complain about this unless you have severe motion sickness. When we arrived at the resort, we were greeted with cold towels and friendly faces. They took our luggage and brought us into the preferred club where Francisco prepared my first margarita for me and a mojito for my husband while we checked in. Diago set us up to have breakfast the next morning and listen to presentation similar to a timeshare. We were brought to our room, settled in and headed out for dinner at Oceana. This ended up being our least favorite place for dinner but it was fine. We got up the next morning and headed to the presentation. Randy pitched us a wonderful, tempting deal. We were with him for about 2 hours and he was lovely! He wasn't pushy at all! And if we hadn't just bought our first home we might have taken the deal. For our time we were given a couples massage at the spa for only $40. I cannot begin to tell you how worth it it was. We relaxed the rest of the day in our swim out pool and had our anniversary dinner at Portofino. After dinner we went to the piano bar where there was live music. It was wonderful. The following morning we went to the spa. All I can really say is you must go. Get there early and enjoy the hydrotherapy. It was the highlight of our trip. So wonderful. We went on the hike one morning and fed the monkeys. I love that they offer free activities. We also went on two close by paid excursions. There is one zipline canopy tour about 30 minutes away. I am terrified of heights but we had fun. We also went on an ATV tour with Ceasar Adventures. It was awesome and they take off right from the hotel. A lot of the excursions take you away for the whole day but we just wanted to relax. We really enjoyed having the swim out pool so I would absolutely recommend getting one of those. We actually never used the big pool. While we are young we really took this trip to relax and be together so it was wonderful having our own space away from the music and crowds. With that room came preferred club status. We also really enjoyed this. The service in the preferred club was great. David and Francisco were wonderful. 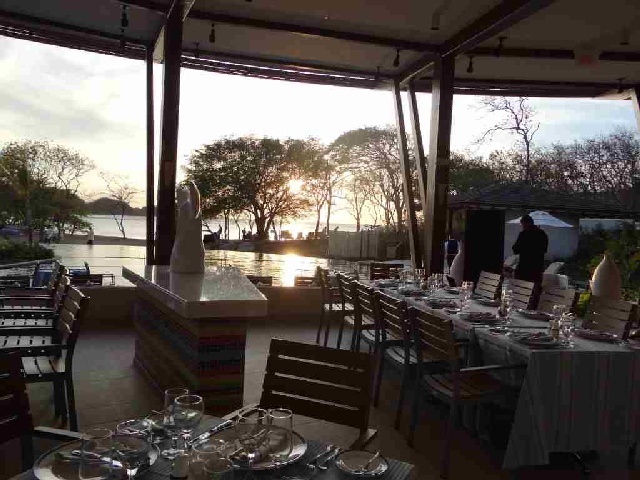 The service at the restaurants during peak time is slow so we would go to the preferred club every night to have a snack and drinks while watching the sunset. This would hold us over so we could have a late dinner with quicker service. Margarita cleaned our room and was LOVELY! The bathrooms could have more privacy but it was fine. Every single employee was beyond friendly and spoke great English. The wifi is spotty and understandably so. Put down your phone and enjoy yourself! We had the best vacation ever! Go, relax, eat, drink, and enjoy yourself. Regular Rate $ 1984 . Today Only $699!